I often guide tourists on snorkeling, bird and wildlife watching in the rainforest of Manokwari, Tambrauw, and Raja Ampat. We will meet you in Sorong city and transfer you to Tambrauw regency by 4WD car. It takes around 4 hours by car from from Sorong city to Sausapor town. 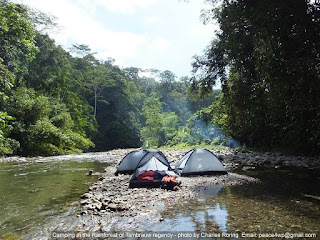 We will inform local authorities and the local police about our rainforest tour activity and then continue our trip to the stop point in the forest edge of Tambrauw mountains and 30 minutes of walking along the bank of Syuan river to reach our first base camp. 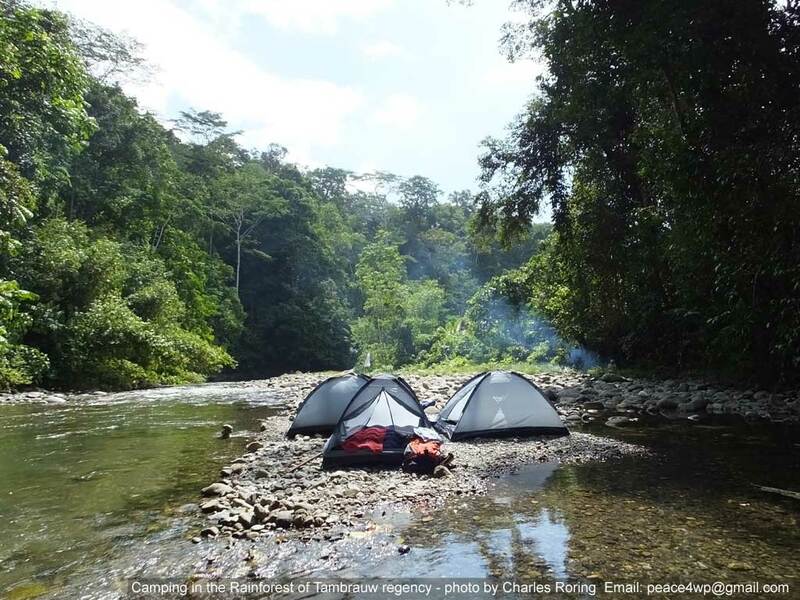 The rainforest which we will explore is located in the bird's head (vogelkop) region of West Papua. Overnight stay in the jungle tents. 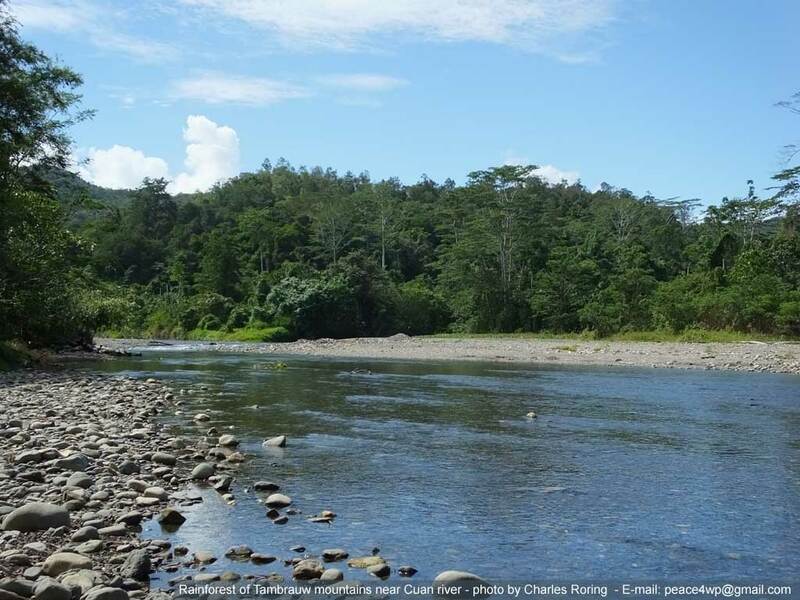 We still have time to enjoy the scenery of the river and rainforest. After breakfast, we will dismantle our tents and leave the forest. Fly from Jakarta to Sorong city. Domestic airlines such as Garuda, Sriwijaya, Express Air, and Nam Air have got regular flights to Sorong. I will meet you in Sorong city and organize your trip to the rainforest. I highly recommend this site because very few tourists have been there. So, much of the forest areas are still unexplored. Nature lovers who go trekking in this region may see various species of herbal plants, wild flowers, giant trees, birds, marsupial and nocturnal animals. Tambrauw regency is located between Sorong and Manokwari. 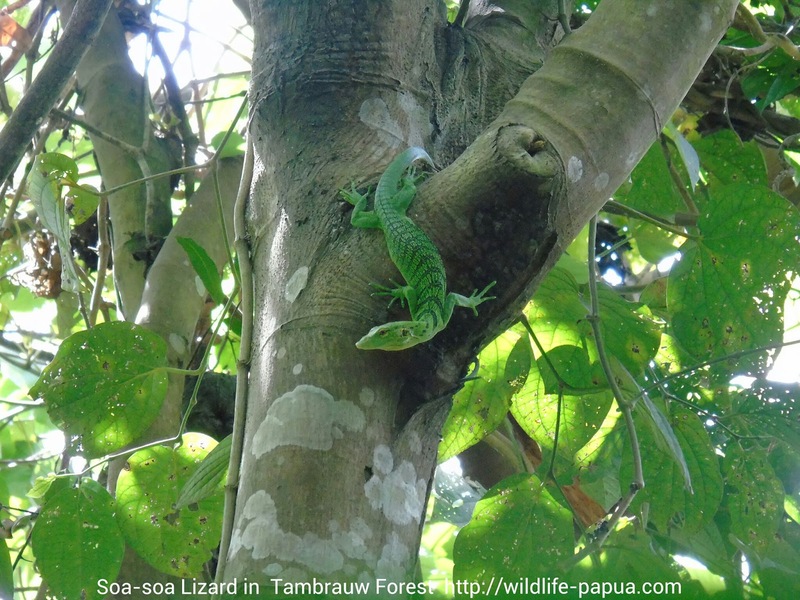 To go trekking in the rainforest of Tambrauw, we need to charter a 4WD car from Sorong city. It takes approximately 4 hours from Sorong city to Sausapor town (the temporary capital of Tambrauw). After registering our names in the local police station, we can continue our trip to Cuan river where we will be able to stay for a few days in the jungle. From my previous trips in this forest, we saw bandicoot, eupholus beetle, Swallowtail Blue Mountain butterfly (Papilio ulysses), Blyths hornbill (Rhyticeros plicatus), Sulphur Crested Cockatoo (Cacatua galerita), Spangled Drongo and Lesser Birds of Paradise (Paradisaea minor). Binoculars and bridge camera such as Nikon Coolpix P900 will be useful for birdwatching and wildlife watching. To enhance your birding experience, we will bring spotting scope, field guide book entitled, "Birds of New Guinea" written by Bruce Beehler and his friends. We will also provide camping gear such as tents, cooking and eating utensils, and torch. If you are interested in taking this rainforest tour in Tambrauw regency, please, contact me by e-mail: peace4wp@gmail.com or whatsapp: +6281332245180. I will compose an itinerary and calculate the cost of your tours that are suitable with your travel schedule.